A show-stopping homecoming float takes a couple months to fully execute - about 1 month for planning and design and 2 months for building. All the time and effort put into such an important project requires the right space for creativity and flow. A storage unit is just the place you need! Today with Affordable Family Storage, we’ll dive right into what it takes to build the perfect homecoming float with the help of the right storage unit. The first month of planning the perfect homecoming float is dedicated to design. A strong game plan for the overall vision is important because it sets the tone for how the following months will go. This is the time you must recruit, work out any kinks in your plan, secure a space for work and creativity, and gather supplies. Create a budget and stick to it! Floats alone can cost anywhere from $500 - $3000 to make, not to mention the cost of renting a storage unit for building purposes and unforeseen costs ahead. Establish a budget to ensure that you keep track of spending and do not overspend. There are so many moving parts to creating an amazing homecoming float, so pay attention to the details! Securing a work environment is very important because this will be the creative space for you and your peers to do your best work. It’s also space you’ll frequent often, so it’s vital that you find a big enough place for your float, materials and supplies, and your friends! This is why storage units are such a popular choice. A storage unit will provide you with the space you need, security, and a great neutral location for designing and building your float! When you’re finished building for the day, simply lock up your unit. 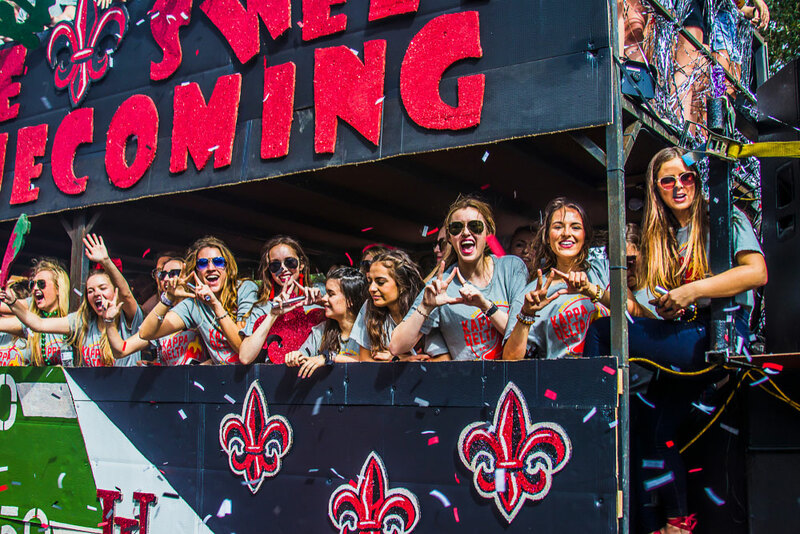 A homecoming float is a huge project, and with all your materials safely stored away in a storage unit, you’ll never have to worry about inconveniencing someone else. When you purchase good materials up front, you can then repurpose and reuse them for years to come! This is why a focus on budget is very important. If you cut corners with cheap materials, your float will look cheap as well. You have plenty of storage space in your storage unit for excess materials and tools, so go for it! Raise the money and invest in good-quality products up front so that next year you have much more wiggle room with the budget. Maybe you need an even bigger storage unit? With these savings, you can secure the right sized space you need for ultimate creativity and productivity. If you’re building a homecoming float for the first time, it takes a lot of trial and error to design everything exactly the way you want it. But, luckily, securing the right space for work and creativity is the first step on the right path. A storage unit at Affordable Family Storage is the perfect place for all stages that go into creating a homecoming float. You can utilize the space for planning and recruiting first. Then transition to building and design, before storing quality materials that can be used for next year’s homecoming adventure! Visit the AFS website today to find the closest location to you!